The Hungarian cuisine is a cuisine that is characteristic of Hungary, or rather to the Magyars who live all over Hungary and neighboring countries such as Slovakia and Transylvania (now part of Romania). 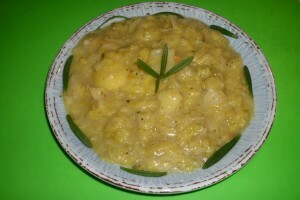 Traditional Hungarian dishes are often meat dishes with seasonal vegetables such as cabbage, parsnips, potatoes and asparagus. 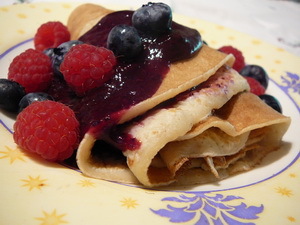 Certain fruits, fresh bread, cheeses and honey are also important as are poultry such as goose and duck. The Hungarian cuisine has been influenced by Turkish and Austrian cuisine and has developped from typical farmhouse cooking to a tasty, varied cuisine. In almost all restaurants – next to the Hungarian menu (“etlap”) – there is also a German and/or English-language version of the menu available. Guests of Lake Tisza Holiday Homes do love eating out dirt-cheap in the restaurants of Tiszafüred. Fish dish and casserole (while cooking in the oven) as served in the restaurant Hableány Hotel (Tiszafüred-Örveny – Hunyadi út 2). 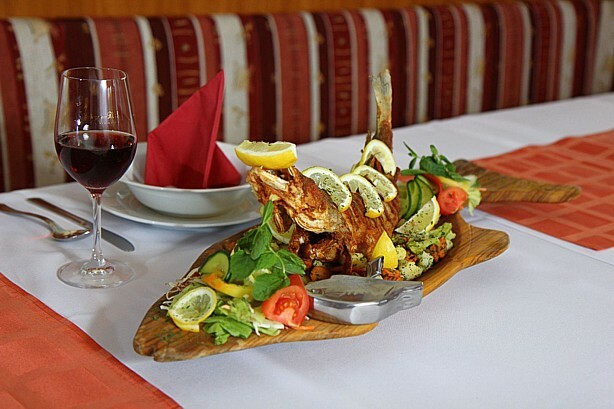 A brief introduction to dining in Tiszafüred can be found here. 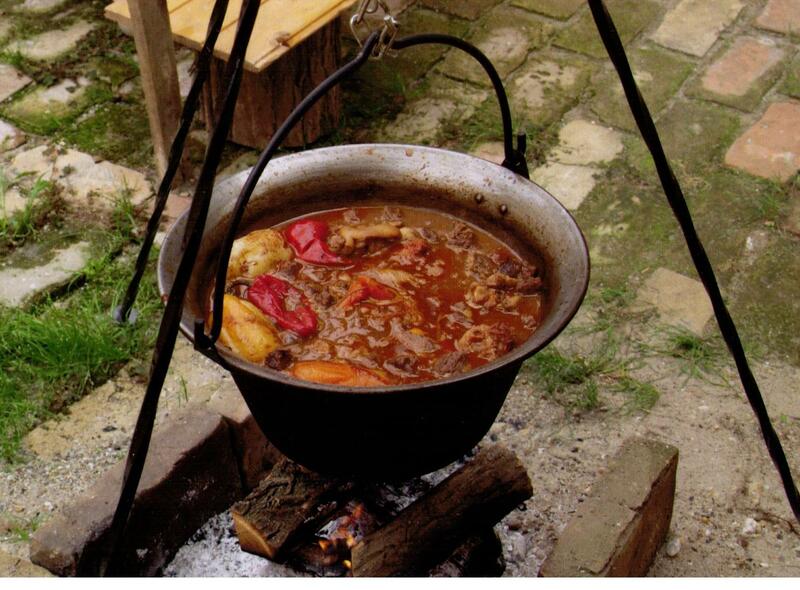 The national cuisine lives strongly in Hungary. Also, there is a lot of rivalry between regional variations of the same dish. 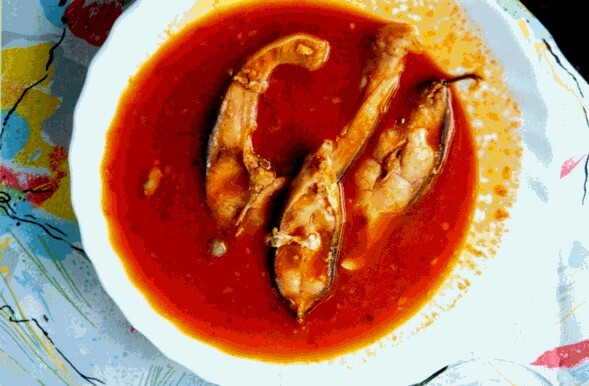 An example is the Hungarian hot fish soup, halászlé or “fisherman’s soup”, which has a different preparation on the banks of the two great Hungarian rivers, the Danube, Tisza and lake Tisza. 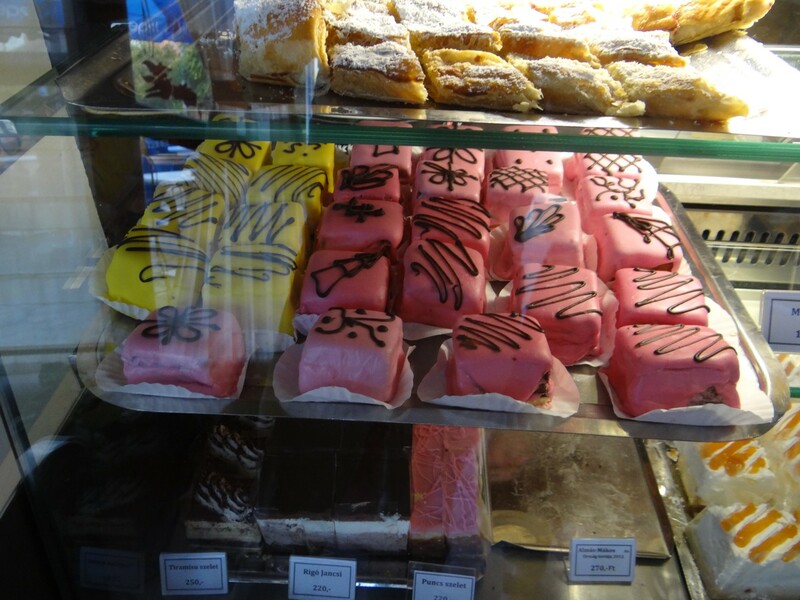 In Hungary many soups are made and pasta, pancakes (palacsinta), desserts and pastries such as dice shaped cakes. 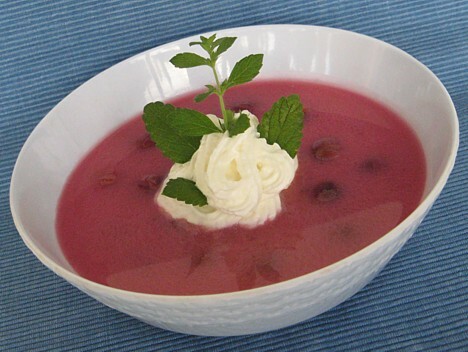 Important are the different types of vegetable stews, called főzelek, but also the cold fruit soups, like cold cherry soup (surprisingly delicious and tasty refreshing in the summer). Note: főzelek is pure vegetables. 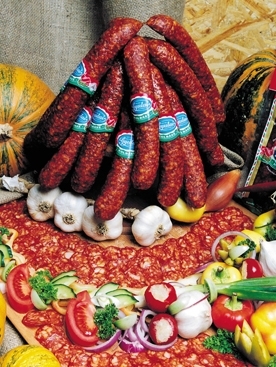 Meat stews, casseroles, (to a lesser extent) steak, roast pork, beef, poultry, lamb are prepared in different ways and Hungarian sausages as kolbász – the Debrecener sausages – and winter salami are very popular. Furthermore, mixtures of different types of meat are a traditional part of Hungarian cuisine. Goulash, filleted peppers, filleted carrots or fatányeros can be combined with pork and beef. 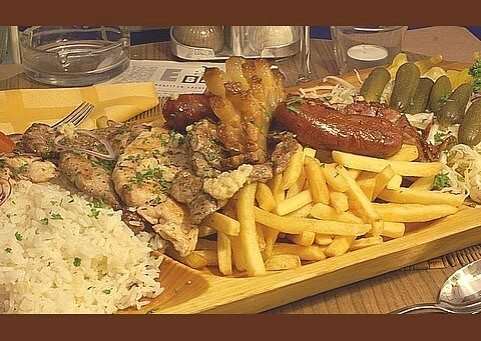 (Hungarian mixed grill on wooden platter) In many tasty dishes various fruits such as prunes and apricots are cooked with the meat, usually combined with risotto, noodles and potatoes. In the Hungarian cuisine different kinds of cheese are also served such as Túró (a fresh curd cheese), Trappista, Pàlpusztai and Liptauer. Fish such as trout, walleye, salmon, sole and river carp are also popular. Goulash (Hungarian: Gulyás) is the Hungarian national dish and is a thick soup. The highly condensed version as we know it here, is a meat stew (in Hungarian called Pörkölt – you can also order this (in German) as “Rinder or Schweingulasch“). There are many varieties of goulash, for example beef, mutton, pork and fish. The latter is very spicy. Goulash is also prepared almost invariably (in large kettles over an open fire) at any public or neighborhood party or festival. Kolbász is a spiced dry pork salami from Hungary. 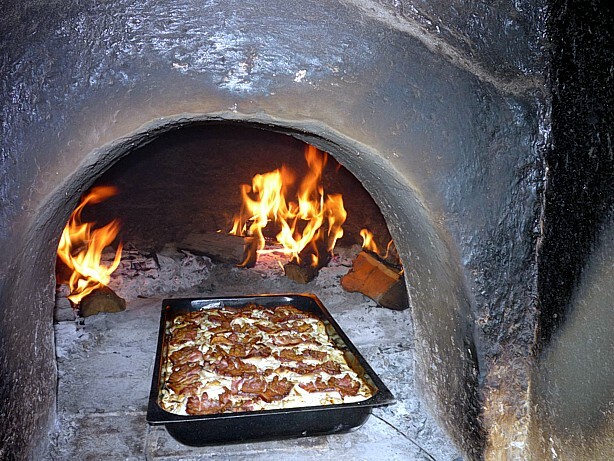 Main ingredients are pork, paprika, szalonna (bacon), garlic and cumin, but this varies by region and maker. These ingredients are put into a hog and smoked. Well known variants are kolbász Csabai kolbász and Gyulai kolbász. 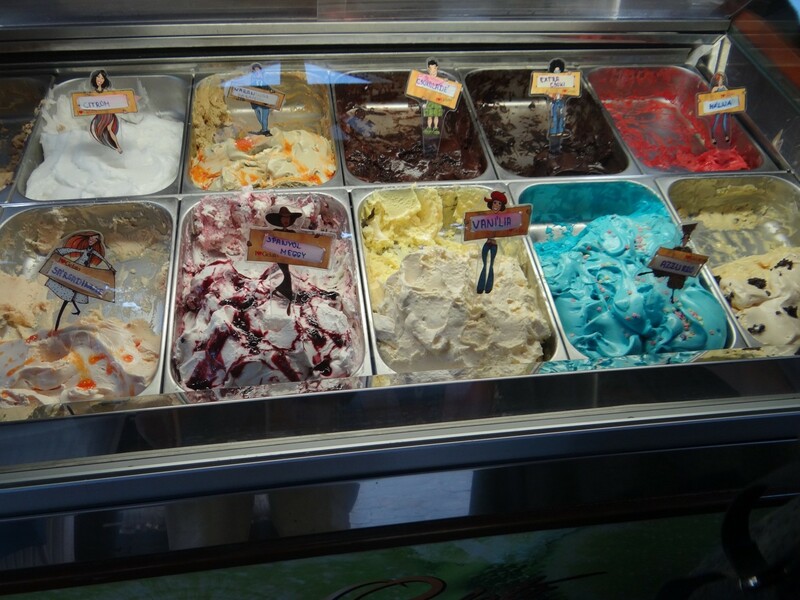 Hungarians have a sweet tooth: in Tiszafüred there are three salons where ice cream and cakes can be consumed with very tasty coffee. Palacsinta, Hungarian pancakes, (left) and blissfully enjoying two expresso’s, a piece of cake with whipped cream and 5 bulbs of ice-cream with whipped cream (total cost 5 Euros …) on the terrace of an ice cream salon, 600m from Lake Tisza Holiday Homes (right).